As a child, I described myself as an “old soul” who acted older for her age. But when I grew up, there were moments when I grieved the loss of my childhood. No longer could I snuggle up in my dad’s lap or expect my mom to tuck me in when I was sick. But I still needed my parents. So much of life’s tough issues can’t be dealt with alone. The world is a cruel place. Friends stab us in the back and church communities turn their backs on us. Family should be the place where members are accepted. This does not mean a parent has to agree with a child’s choices, however, to be accepted. This doesn’t mean that parents can’t express their opinions about their child’s choices. But the reality is, once a child turns eighteen, they are on their own. They make their choices (and consequently their mistakes) apart from their parents. Parents can’t take on their children’s choices as an indictment on their child rearing skills. Parents must understand their child is grown up. Unlike when they were kids, a parent can’t pick them up, wipe their tears and kiss their boo-boos. Acceptance is a great way to show a child they are important, no matter what. Unlike the above idea of acceptance, approval is different. Approval means “the belief that something or someone is good or acceptable.” Goodness relates to moral character and is an aspect of spiritual formation. Goodness is one of the fruits of the Spirit. A Christian parent’s job is to help develop the fruits of the Spirit within their child. Therefore, approval means you approve of them, not their choices. After Jesus’ baptism, Jesus’ father publicly approved of him, “This is my son, whom I love, with Him I am well pleased” (Matthew 3:17). I can imagine the joy that must have been for Jesus to hear his Father say that about him to others. How much more would an adult child like to hear their parents publicly approve of who they are and who they have become. Even if the child has made some mistakes, they still want to hear their parent say they are loved and have received their stamp of approval. Even at 40 years of age, I still ask my dad for advice. After just purchasing a home, my husband and I were looking to buy a generator. Not knowing much about them, I leaned on someone who did, “Hey Dad, can you tell me which brand is the best generator?” our weekly phone call began. No matter how old I get, my dad has been through it all. Loss of a spouse, failed business, and bankruptcy are just a few of the trials he has faced in his life. My dad never ceases to surprise me with the best tip on home improvements, cars and the like. Always consider a parent’s advice. No one in the world wants best for you more than your parents. So often in society, we base love on the feelings we feel at the time. Yet, love is an action and a choice, not just a feeling. A parent must choose to love their children, despite their actions. A parent that can separate their feelings from their choice to love will continue to foster their adult child’s growth, both emotionally and spiritually. Not only that, but they can also leave a legacy of love for their grandchildren as well. 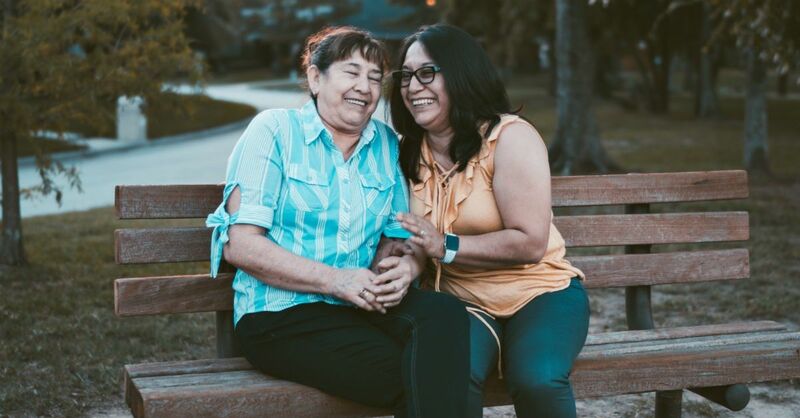 When they see their parent interacting in a positive way with their adult child, the grandchild will want to foster that same relationship with their parent. When I was a child, I feared telling my parents about a problem I was having, worried I would be punished or scolded for getting myself into that situation, however; as an adult, I don’t have to worry about that anymore. It still is good to bend a parent’s ear whenever there is a problem a child cannot solve. It is therapeutic, at the very least, to talk through a problem with a parent, and at best, they may be able to help you figure out what to do next. Parents have experiences unique to them; it is wise of adult children to ask them about those experiences. Not only do children need a parent’s guidance, but they also need their wisdom. It’s one thing for a parent to give advice, or knowledge; it is quite another to get a parent’s perspective on the lessons they have learned over their lifetime. For a homework assignment, my son had to ask a grandparent about themselves. We chose my father. As I facilitated the discussion, I learned so much about my father and mother than I ever knew before. I wrote it down, then typed it in my computer. I printed it off with some pictures of my family. Why? So I could preserve my past, enrich my present, and enhance my future. I wish I could have written down the stories my grandmother had about her life as a factory worker, raising a child, the inability to have more children. Now that she has passed, I cannot glean the lessons she learned from those trials. My mom had been through a lot in her life, too. But she was quiet about her life and didn’t speak much about her past. I would have loved to have heard what she thought was so great about the 50s and 60s, the eras in which she grew up, what it was like to raise me, or what it was like to lose a child. If you have a good relationship with your parents, take a moment to sit down and ask them questions about their history. Write it down if you can. Preserve the past so that you can continue to learn from those mistakes and not be doomed to repeat them. I had the privilege of living next to my grandmother growing up. She often came over for family dinners and we went over to her house, too. I spent many weekends with her and treasure my memories of her, as a child. In fact, my grandmother was one of the single greatest influences on my spiritual life. Frankly, I wouldn’t be who I am without her influence in my life. What a gift I had, to be able to grow up around her. As an adult, your children are more than likely contemplating having children. Adult children need their parents’ assistance in raising their kids. Not only may they need their physical help in picking kids up from school and babysitting, but also their spiritual influence, so the next generation can follow in their spiritual footsteps. If parents and children make a habit to attend church regularly and practice spiritual disciplines, the more likely a child will want to emulate that example. Parents have more influence on their grandchildren than they realize. By just being there, parents are planting seeds in their grandchildren and sowing what they planted in their adult children, too. It may seem like once a child turns eighteen, they no longer need their parents. On the contrary, adult children need their parents more than ever. They need to be able to lean on them as they go through life’s trials and rejoice with them in their triumphs. Being a parent is a gift. When that child becomes an adult, they can then reap the harvest of the relationship they developed through the years.